Blind-spot Collision Warning, Blue LinkⓇ Connected Car System and Provimity Key with push button start. 19-inch alloy wheels, LED headlights and tailights, and Hands-free smart liftgate with auto open. 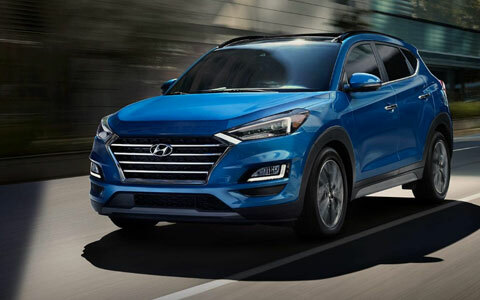 Change your perspective with the 2019 Hyundai Tucson. You can explore the road with ease thanks to the Tucson's HID headlights with Dynamic Bending Light and its available panoramic sunroof! The new and improved Tucson is here to stay. Schedule a test drive near Modesto, CA now. Stay comfortable in the new Tuscon with its cloth seating surfaces and 6-way adjustable driver seat with power lumbar support in the SEL model. You can enjoy the heated front seats with the optional heated rear seats in your Limited model. The lovely Tucson offers a 7" color touchscreen display and audio system so that your favorite media is never out of reach! Take on the night with the help of the Tucson's LED accents and LED Daytime Running Lights. This new Hyundai vehicle offers innovative features like the roof-mounted center high-mount stop light and the solar glass front windshield. 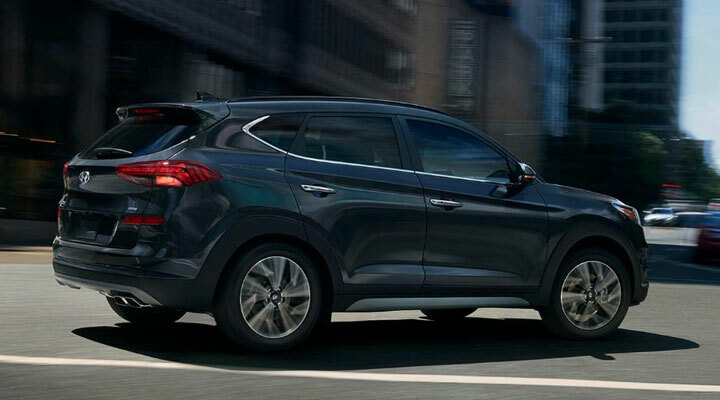 Every inch of the new Tucson is advanced. 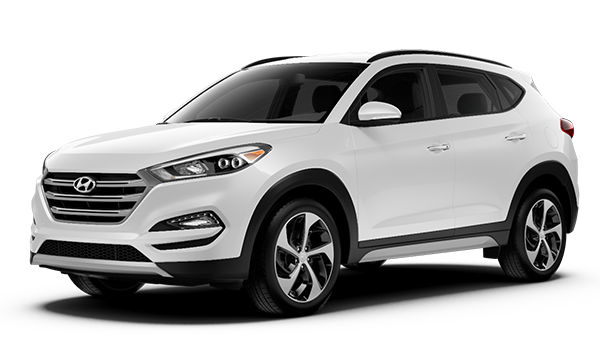 Visit our dealership to learn more about this new Hyundai vehicle and its standard rear spoiler!